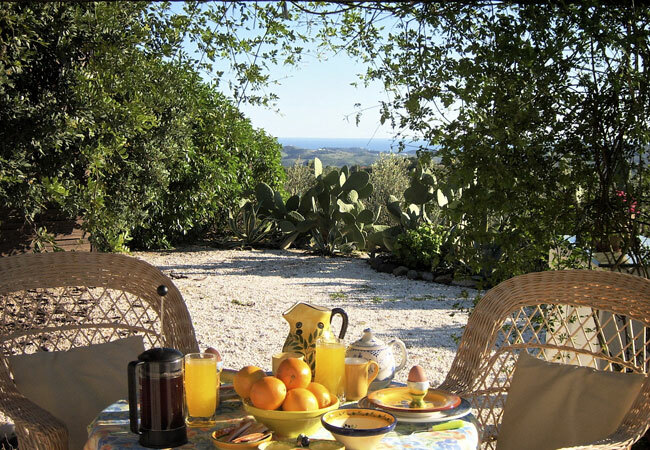 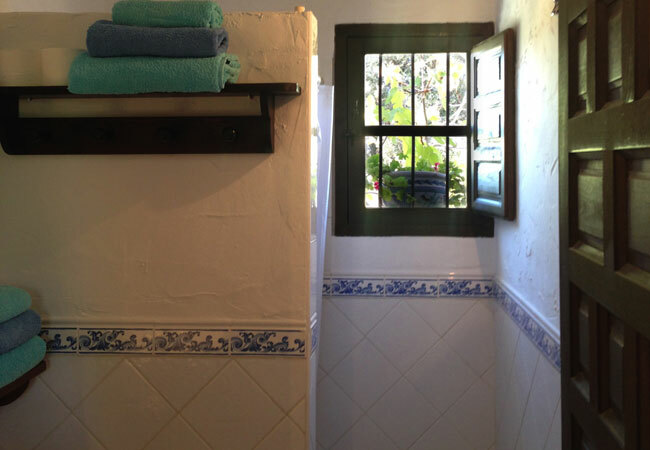 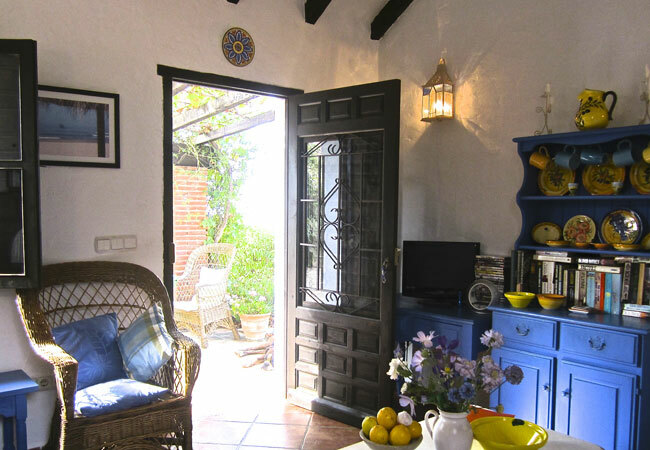 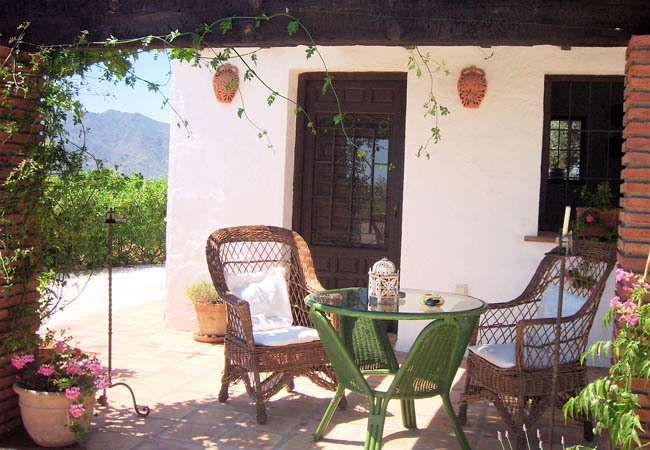 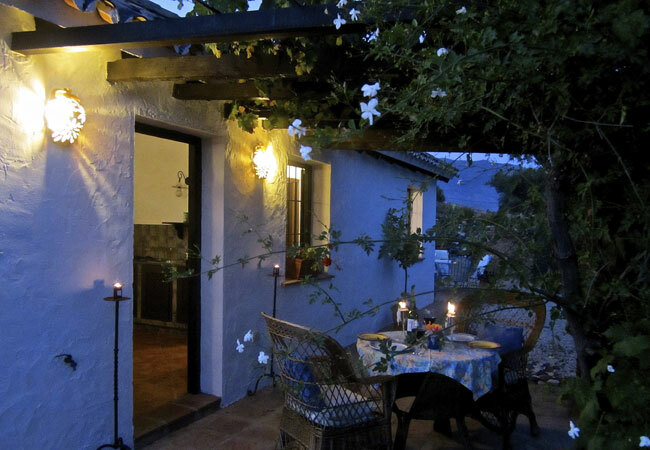 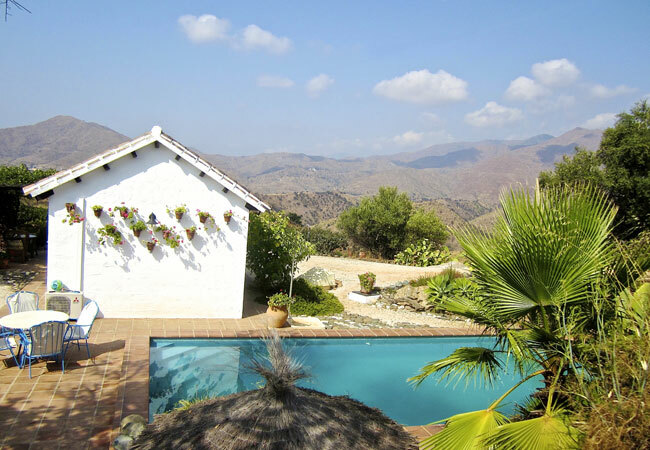 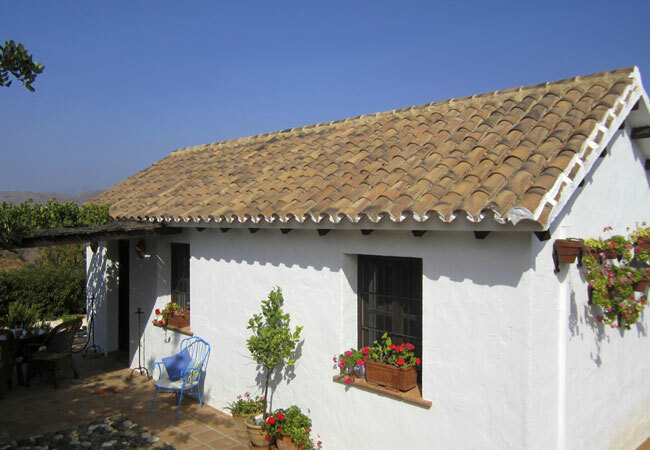 Practically newly built in typically quaint Andalusian style with whitewashed walls and terracotta tiled floors and furnishings in sunny Mediterranean colours, this pretty south facing cottage has a romantic bedroom with King-Size bed... an airy living room with kitchen area... shower room. 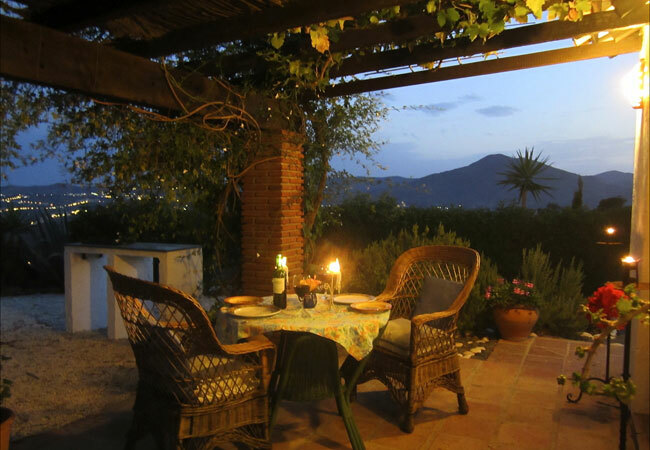 Two private outside Dining Terraces one shaded with Mediterranean views and the other sunny with panoramic mountain sunset views! 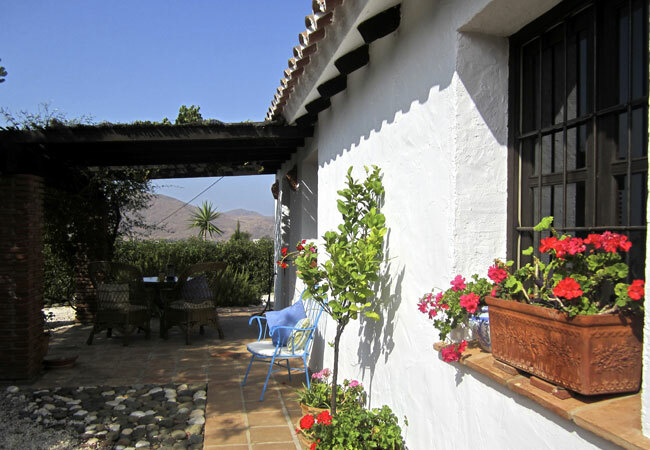 Private driveway to garden with parking. 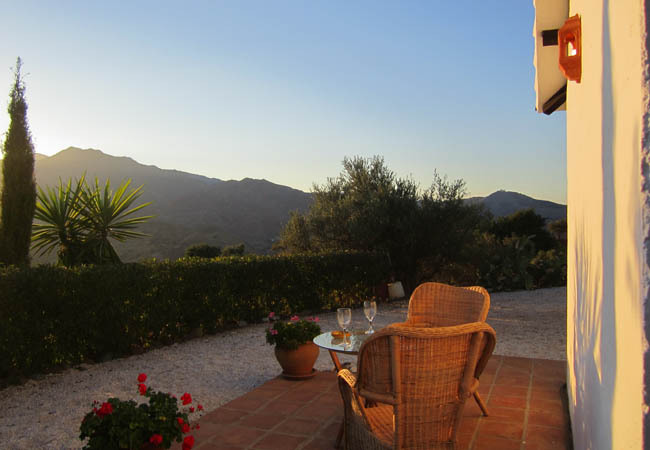 Arrival and departure days – flexible.